Arguably, one of the best things about our school’s location is the wealth of dining options available nearby. From the highly commercialised food franchises in popular student haunts like Nex and Junction 8 to the quaint cafes along Upper Thomson Road, one is spoiled for choice when deciding something so deceptively simple as one’s choice of cuisine. In this article, we focus primarily on introducing some of the more noteworthy stalls in the vicinity, with an emphasis on affordability. Many of these stalls deserve plaudits for their ability to dish up high-quality traditional local fare whilst remaining light on one’s finances, so do consider adding them to your list of after-school hangouts. Nonetheless, not all of the shops we reviewed turned out to be culinary jewels, so you may wish to patronise them with a hefty dose of pessimism in mind. 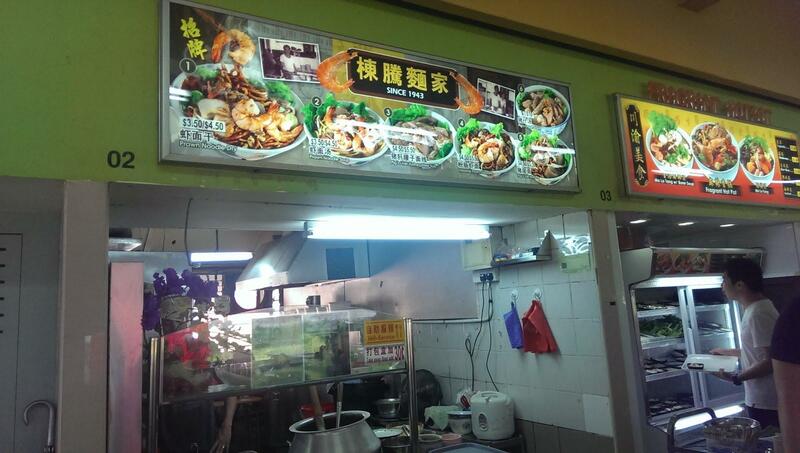 As its billboard proudly proclaims, this prawn noodle stall has apparently been in operation since 1943. I thus approached the stall harbouring high expectations for the eponymous noodle dishes whipped up by its holders. While the prawn noodles with soup made for a rather decent meal, they were by no means of outstanding quality. On the plus side, the soup was quite flavourful and tasty; the dish also contained an assortment of ingredients, ranging from the essential prawns to other toppings like fishcake slices, beansprouts and strips of pork. However, I was disappointed to discover that only a measly 3.5 prawns – all of which were small, bland and not particularly fresh – accompanied the noodles. Moreover, the noodles were slightly soggy. 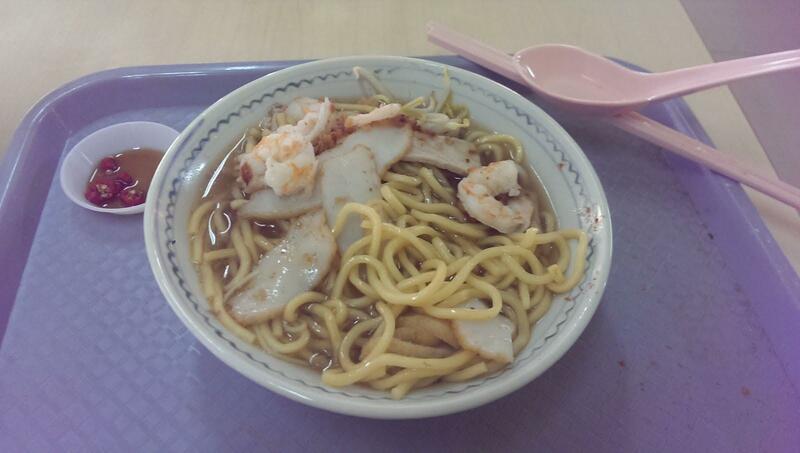 A student with tight pockets may find some consolation in the relatively affordable nature of the prawn noodles (compared to other sellers of the dish, at least), for the soup and dry versions only cost $3.50/$4.50. In my opinion, making a trip to Junction 8 with the sole aim of patronising this stall is not worth the time, but if one happens to be in the area, it does not hurt to consider dining here, instead of at unhealthier, more conventional eateries like the countless fast food outlets housed within the mall. Directions: From Junction 8, head down the corridor with shops like KFC, McDonald’s and Manhattan Fish Market. Continue walking straight until you reach the HDB block containing the food court. Opening hours: 10.30am – 8.30pm, daily. 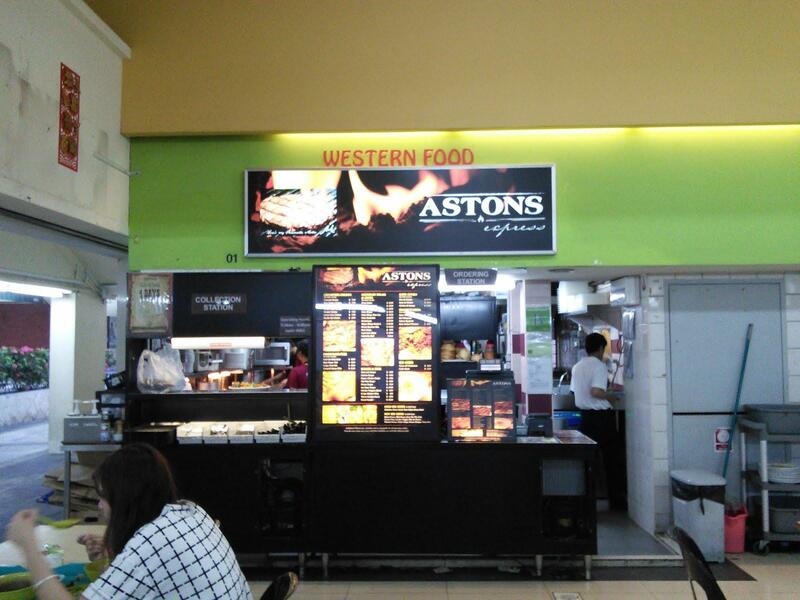 One can also find a branch of the (undeservedly) popular Western food franchise, Aston’s Express, within this very food court. Though the company’s website promotes itself as an outfit that offers “quality food at affordable prices”, this statement could be no further from the truth. So you know what to steer clear of. 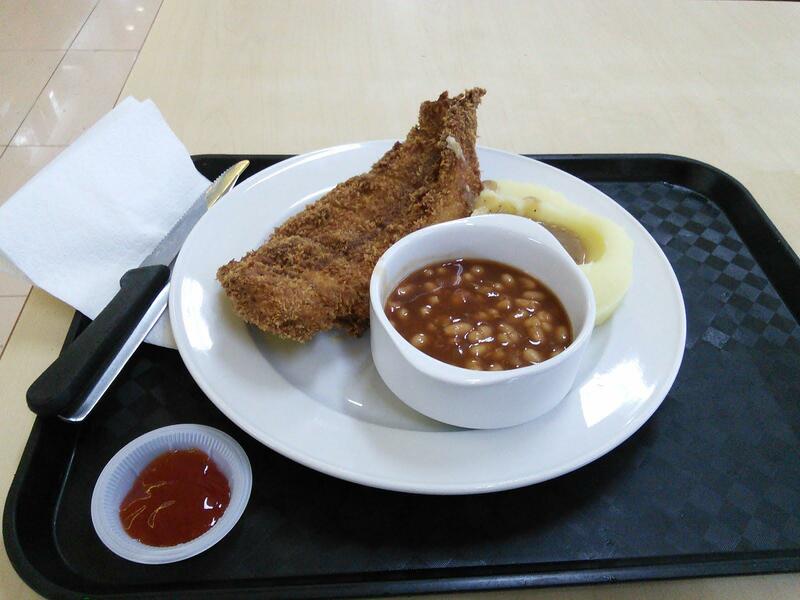 Whilst the Crispy Fried Fish ($8.50) was moderately fresh, well-battered and not oily enough to be guilt-inducing, some of the other dishes were of abysmal quality. The ‘Chargrill Chicken’ set ($7.50) seems to be a misnomer, for the chicken had barely been grilled to a sufficient extent before being taken off of the fire, and was almost completely devoid of taste. The equally bland Prime Sirloin steak ($13.50) was, conversely, grossly overcooked. Both meat dishes were drenched in an unpalatable, watery mushroom sauce that was indistinguishable from processed nutrient broth. Thus, take the tantalising pictures that decorate the menu with more than just a pinch of salt. 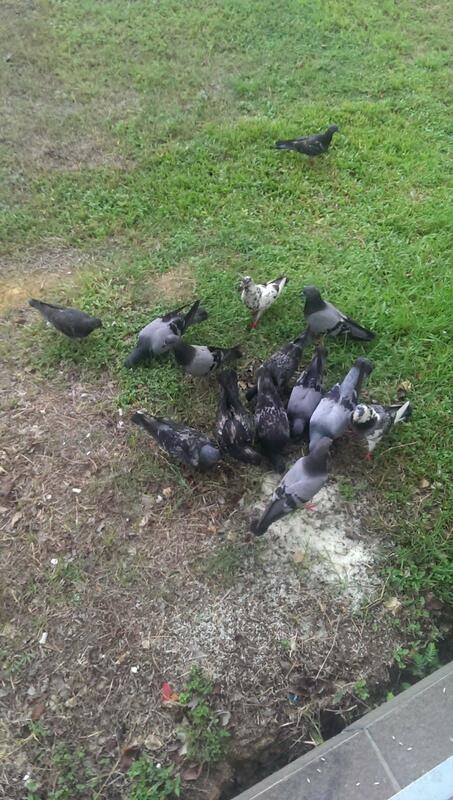 The food isn’t appetising enough to merit my uploading a picture of it, so here’s a cute picture of pigeons eating rice. They certainly seem to be enjoying their meal more than I did mine at Aston’s Express. Unfortunately, one can find no salvation in most of the side dishes either. The BBQ beans were quite hearty and savoury, and the baked potato was laden with a large scoop of butter and somewhat tasty (though it is, admittedly, nigh-on impossible to get such a dish wrong), yet the mashed potatoes and corn-on-the-cob were overly mushy and utterly flavourless. It is disheartening to say this, but the mass-produced Western food churned out by KFC and McDonald’s is better value for money and of a higher quality than some of Aston’s offerings. Opening hours: 11.00am – 10.00pm, daily. This review is for the outlet at the S-11 food court, but if you enjoy dancing with danger, there is another branch beside the Rochor Beancurd House. The rave reviews for this place on hungrygowhere.com were revealed to be well and truly justified, for this small hawker stall tucked away in a secluded HDB estate turned out to be a purveyor of true culinary delights. The piquant curries were, in my view, this stall’s most scrumptious offerings, for they were bursting with flavour and were so delicious that I thoroughly enjoyed slurping up the dregs even after finishing the prata. The prata came with either chicken or mutton curry (chicken curry appears to be served by default, so do request mutton curry if you prefer it), both of which were of commendable quality, though I personally felt the mutton curry edged out its counterpart due to its more intense flavour. 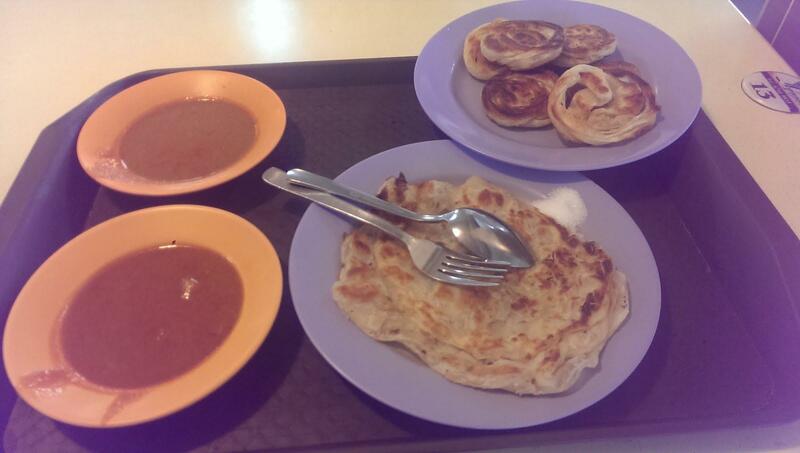 Furthermore, the prata itself was far from unimpressive – the standard ‘kosong’ (plain) prata ($1.00 per piece) had a pleasingly crisp, neatly browned exterior and a wonderfully fluffy interior. Even in the absence of a customary curry dip, the prata was remarkably enjoyable owing to the dough’s inherently sweet taste. You may also want to try the intriguingly shaped, aptly named Coin Prata set ($3.50 for 4 pieces); the dish consisted of 4 strips of dough intricately folded into compact, circular discs. Though it was slightly crisper than the standard prata and its variants, its dough was also packed in a denser fashion, making just one of the ‘coins’ surprisingly filling. 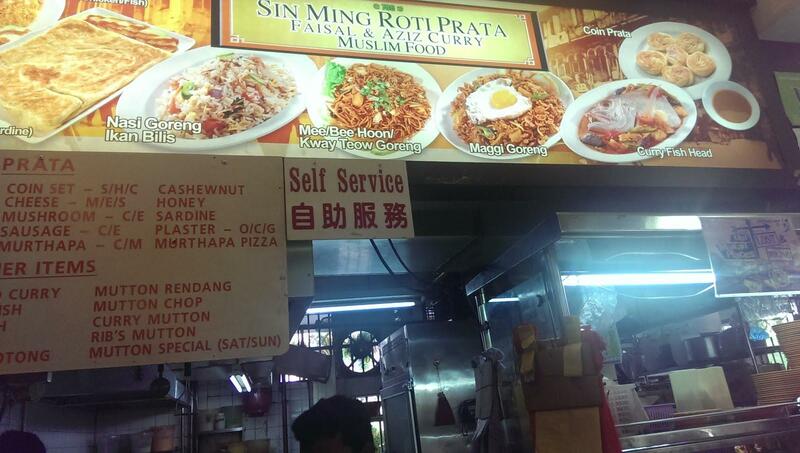 Of course, prata prepared with other ingredients like egg and onion are also available for sale. All in all, the calibre of this stall’s food and its relatively non-pricey nature mean that it is wholeheartedly recommended for both devout prata aficionados and casual consumers alike; it is, without a doubt, worth embarking on the brief journey required to get here from school. Directions: Take bus 410 from opposite the Bosch building and get off at the third stop (Sin Ming Plaza). Walk for a few minutes along Sin Ming Road and along the corridors of Block 24. The pretentious style of writing nauseates me.